Before revealing any personal experience or benefits of this knife, I have some really astonishing facts to share with you. 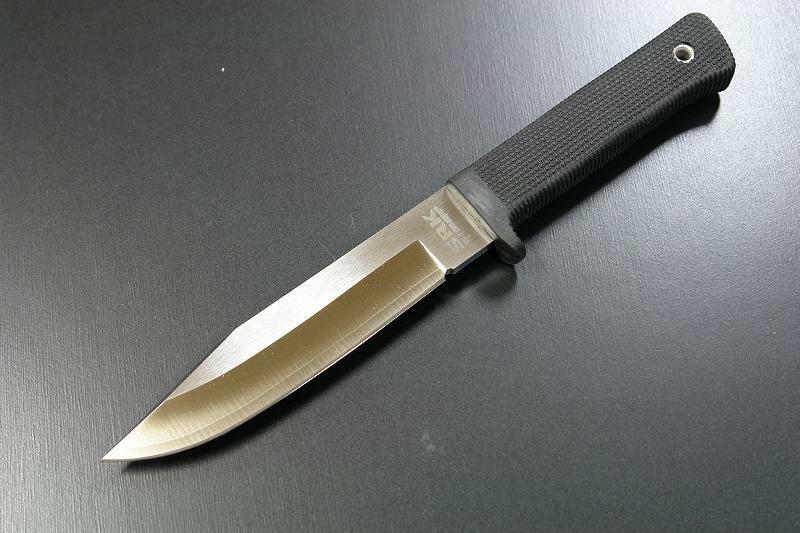 The Fallkniven F1 is in use since 21 years by the Swedish Air Force and belongs to the JAS 30 Gripen fighter kit. The A1, S1, and F1 knives were tested in 2000 for use by naval crews. However, the Al scored the highest but was not chosen only because of its size too big to fit into the survival vests. Today, A1 is in use by several American and Russian operation forces. 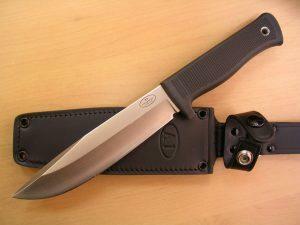 Only these three facts convey enough of the Fallkniven A1 army survival knife in terms of usability and reliability. The design is distinct from other survival knives and is graceful in terms of look. This is because it is engineered just like a military cistern. 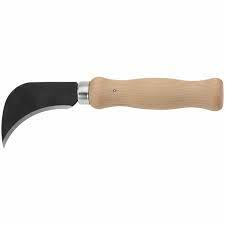 Such a construction makes this knife ideal not only for generic cutting and chopping tasks but also prying a car door. Its rigorous break test at the Lulea University of Technology shows that the knife can hold up to 556 lbs before breaking in the field. In simple terms, the Japanese and Swedish collaboration has given us a strongest survival knife featuring high quality construction materials. 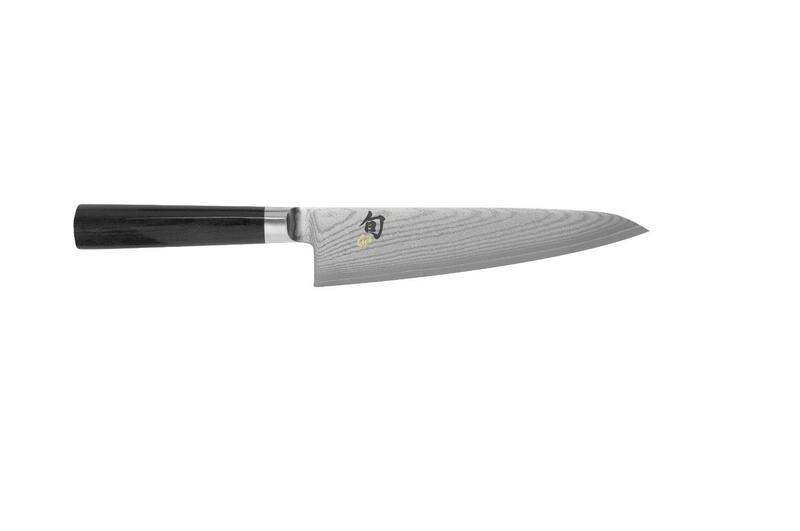 The blade is made using very high quality steel, laminated VG-10 non-stain steel having a hardness of 59 (Rockwell). This is Japanese steel made by laminating the middle VG10 piece between the steel layers of 420J2, giving more strength by 20% than a solid steel quality. The laminated VG10 comes with an unbelievably sharp edge. Because of the high hardness, it is a bit tougher to sharpen than a conventional carbon steel blade. However, this is in terms of some more minutes, which is not that much to bother about. The blade also features a pretty convex grind, which even surprises the Scandinavian grind fans. With this grind, it is easy and effective to split and chop wood (batonning) with favorable thickness and weight. It is also reliable to carve. 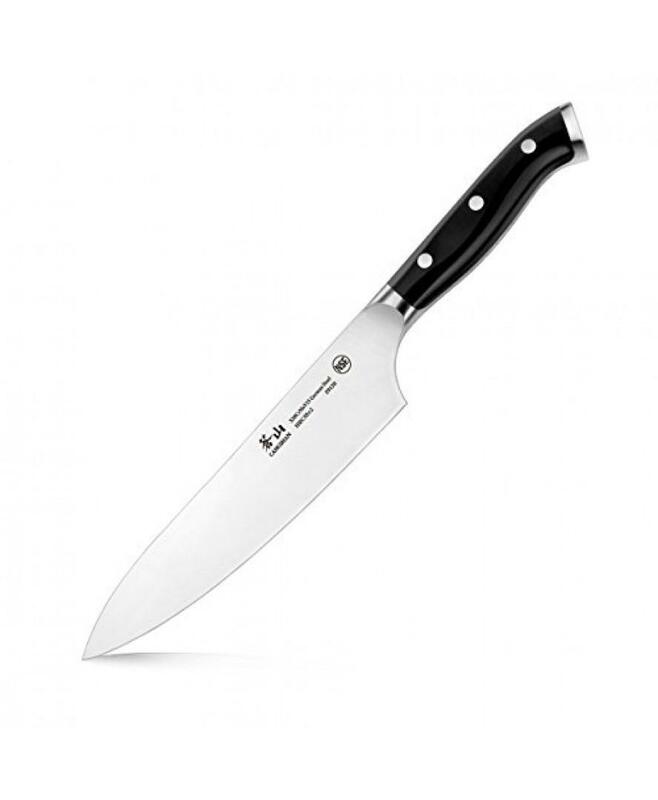 The knife comes with a full tang due to which there is no need to compromise the grip for hitting until the end. The blade has a drop point but is modified to a spear one and features a satin finish. This adds significantly to its striking appearance. 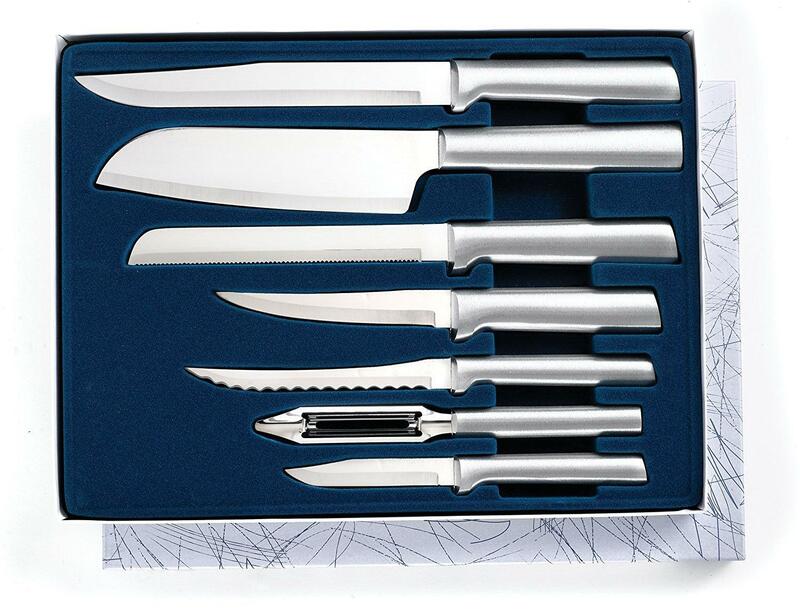 In short, you can expect this robust blade to withstand heavy usage. 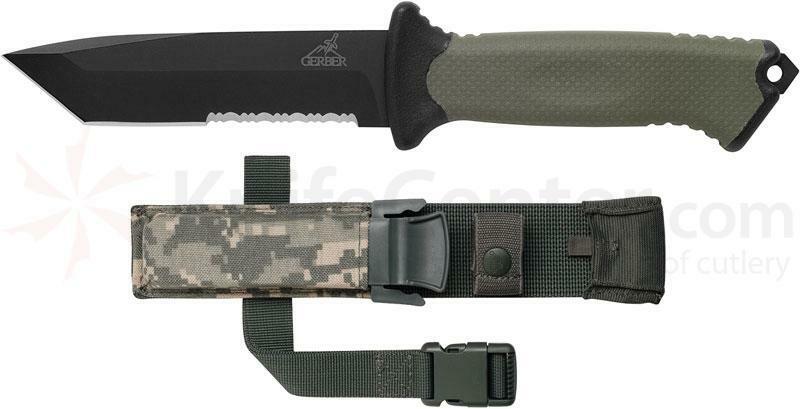 It is because of the ergonomic handle that you can use this survival knife even for daily chores. The handle is made using a synthetic polymer called Kraton, which is a good rubber alternative for ensuring durability (rubber lacks here). It also ensures high traction, flexibility, durable seal, and more resistance to chemicals, weathering, heat, and shocks. The feel and comfort in hand is commendable, even in wet conditions. A fine diamond pattern on the handle boosts traction during a damp condition, while a quillon takes care of extra security and safety. Zytel is easier to clean and features a drain hole for surviving well in a wet condition. However, its appearance is a bit cheap. 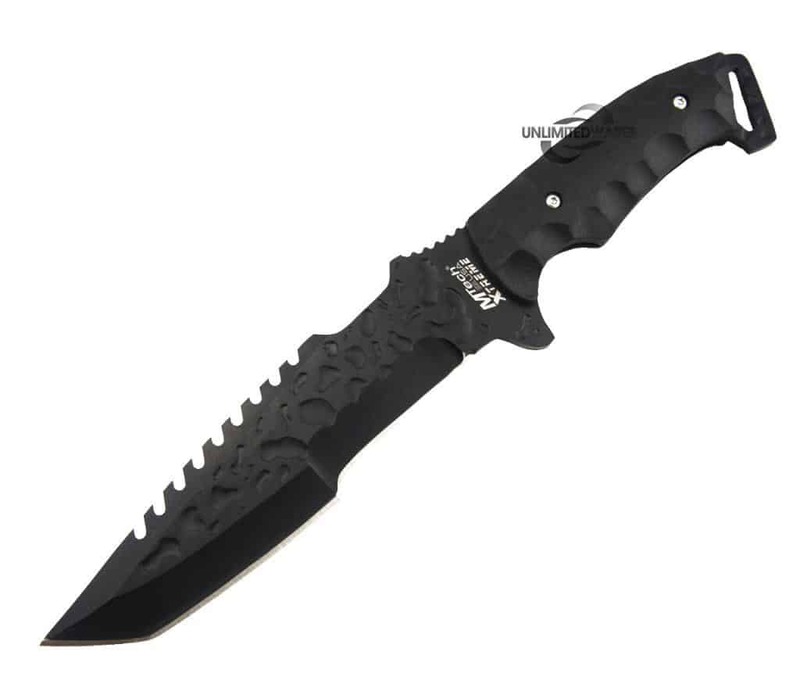 This knife has got 104 Amazon reviews and the overall rating is 4.8 stars. Now, these facts speak a lot about the reliability and popularity of this survival tool. 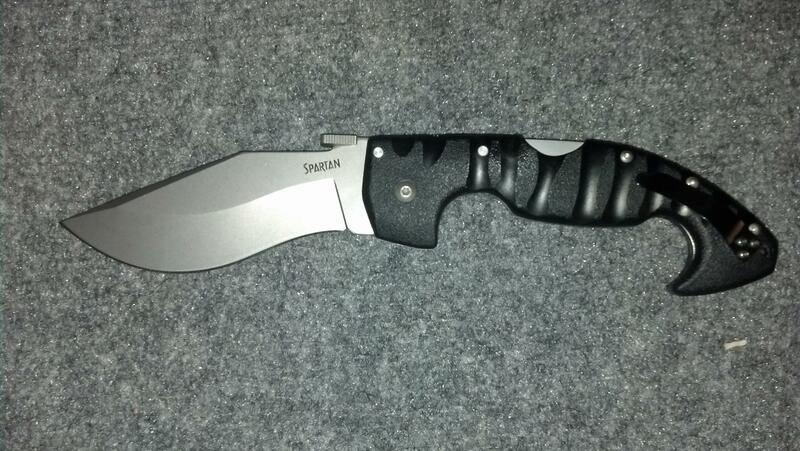 Well, this is a big versatile bushcraft knife to be used in the wild. It exceeds in terms of value and standards, which is likely to set up a novel global standard.